1. Discuss the current state of Komodo. And... what's next? ET: The current state of Komodo is excellent; we're very lucky and grateful. 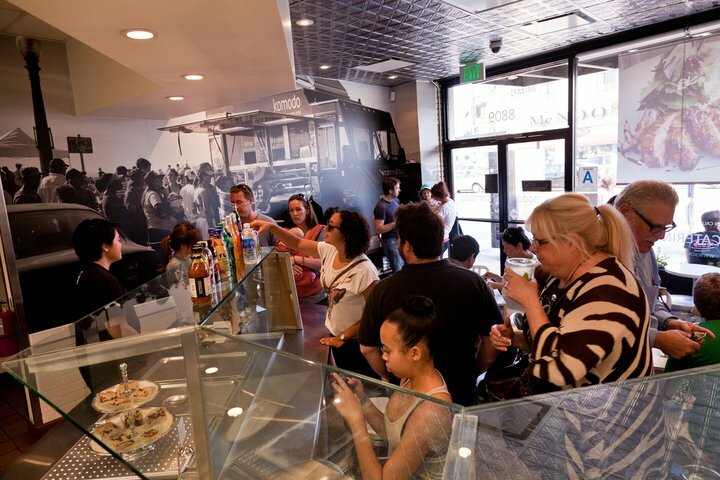 After the opening of our first cafe and successful run going into 2012, we're seeing a validation from our fans and followers that we're a sustainable food business that is here to stay no matter how unstable or trendy or competitive the food truck market is; that we're not a "one trick pony" of an organization. I think our daring move to open a brick and mortar has paid off in more ways than one. We continue to ramp up our operation to a bigger more organized structure, we continue to see bigger flow of business opportunities and catering leads. Fans can now come to the cafe and experience 3 times the amount of selections and new recipes Chef Erwin is experimenting with. In terms of what's next, we are taking it one day at a time. Eventually (maybe late next year or early 2013), we would love to open a second brick and mortar establishment; one that offers beer and wine PLUS more seating capacity. We want to apply all the learning we obtained from our first cafe experiment and blow it up even bigger. 2. What did you guys learn from the truck that you've applied to the restaurant? ET: I think the biggest thing we learned from the truck experience that we applied to the restaurant is the rhythmic finesse of our unit- using resources, space, marketing, tools, and talent efficiently at all times (everything while keeping in sync with what our customer wants- good quality products at great price and great timing). We're able to build sustainable system of inventory management, production, logistics, quality control and social media marketing to generate the most efficient business that utilize every raw material at its disposal. Our team behind Komodo is truly special and we've been able to continuously hire great people under the same discipline as we did with the truck operation; we continue to invest/grow their talent to maximize the flow and quality of our performance. Most importantly, coming from a truck business keeps us grounded. The actualization of our cafe inspires us everyday and motivates us to work even harder to realize more possibility that is yet to come. 3. 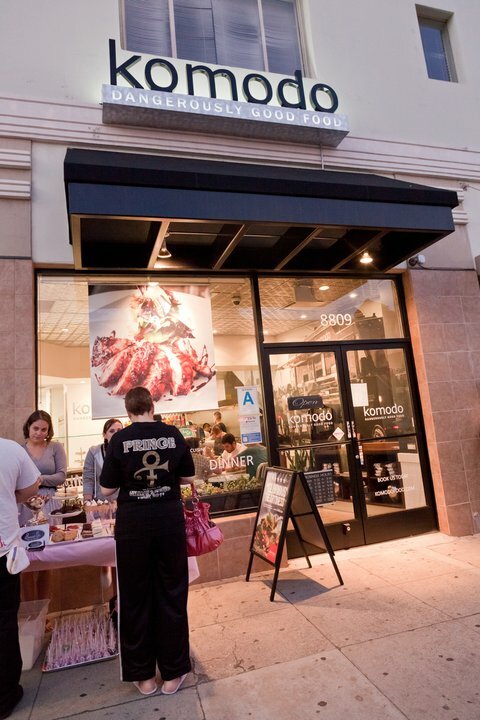 What is your most popular item - on the truck and at the brick and mortar? ET: On the truck- Meatballs, Truffle Fries and Komodo Tacos. At the Cafe- Ahi Tuna Bowl with Brown Rice & Crab Cakes. 4. What are your other favorite LA food trucks? ET: Lomo Arigato- Unique Peruvian Japanese Fusion dishes that you can't find just anywhere and some of the nicest people working on a truck. Naan Stop- Best Samosas money can buy. 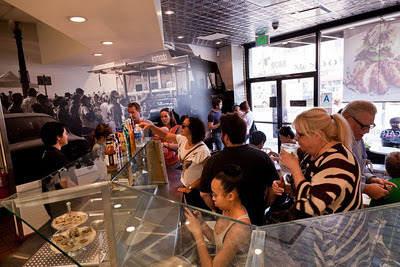 Coolhaus- Their concept of marrying art/architecture, yummy dessert and street food inspires us everyday. Lobsta Truck- We're such a sucker for buttery lobster sandwiches, what a genius idea! Grill'em All- Amazing burgers that far surpasses all the hype and expectations, plus great guys. 5. 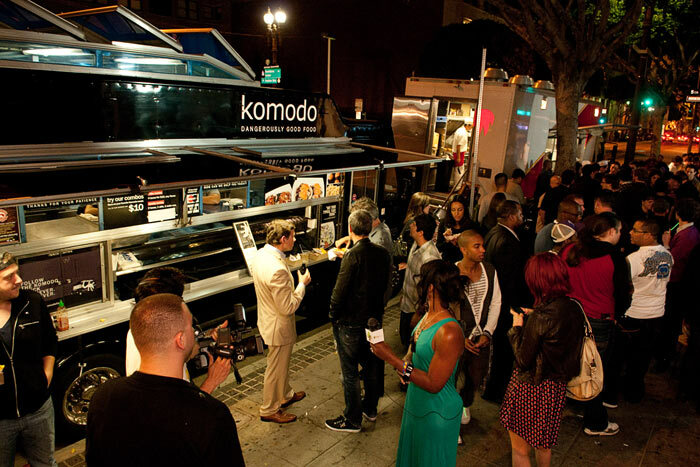 How has the food truck scene changed since Komodo debuted? Are the crowds the same? 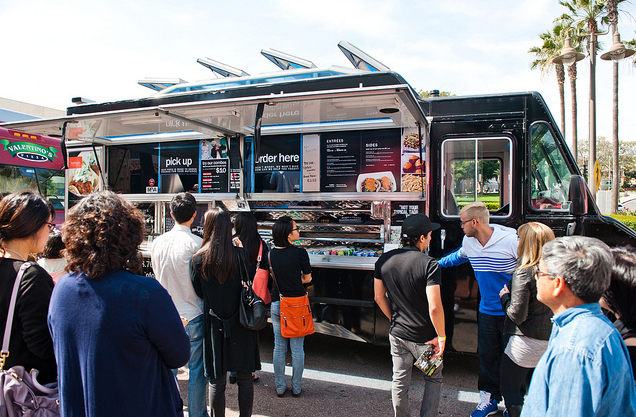 ET: There's definitely a more diverse food truck crowd these days. I think originally, the idea of going to eat at a gourmet food truck was such a yuppie hipster scene, but now- all people, all walks of life/different ages appreciates food trucks in different capacities. I think it's much more adopted into the norms now. 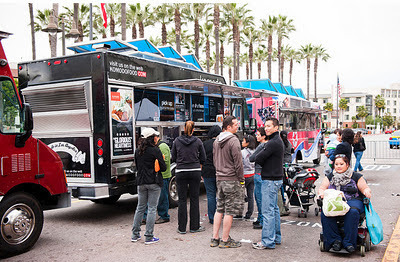 I don't even remember nowadays any big urban events in LA/OC that does not include food trucks as a component to the event. It's a pretty interesting evolution.